How Do I Grow Healthy Natural Hair? Because I enjoyed my time at Curly Treats Festival last year, I was determined to experience another natural hair event this year. 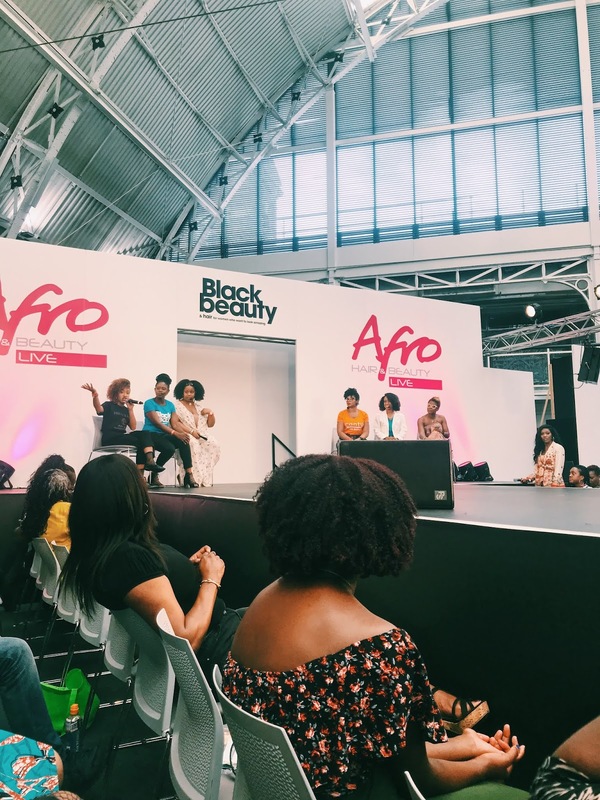 I experienced the famous hair and beauty event: Afro Hair & Beauty Live, for the first time this Bank Holiday weekend. I really should have done my research, as it was overwhelming to see so many brands. I am currently on a product detox, I am trying to use up the products I already have before buying any new ones. I was able to sit and watch the panel talk on the topic of natural hair, where the panelists took questions from the audience, making it a very interactive and informative discussion. The panel addressed; stress induced alopecia, shrinkage and the best ways to care for colour treated natural hair. 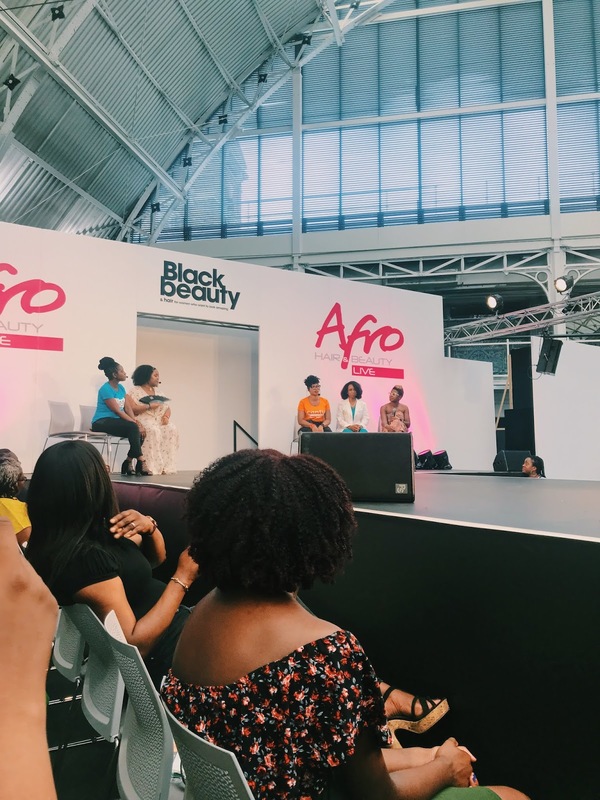 I enjoyed this Panel talk so much, which is why I wanted to sum up my experience at the “biggest and most spectacular hair and beauty show in Europe“, with some information on what you should know about our natural hair. AHBL is the UK’s largest two day event dedicated to black beauty and hair care, held at The Business Design Centre In Islington. AHBL Is a two day event, allowing you to catch any brands, talks or workshops you may have missed the first day. There is a lot going on throughout this nine hour event, from the fashion shows taking place on the stage, brands talking through live hair demos on their stands and plenty of workshops for all ages. You have all of this going on and on top of that a bunch of discounted products from huge international brands like; Mielle Organics, Camille Rose and As I Am. Typically it is hard to get hold of these brands here in the UK for a decent price so when these events come up I am not surprised women came with huge bags and suitcases to stock up. So Whats The Secret To Growing Healthy Natural Hair? Sunday’s panel was an opportunity to ask all the hair related questions you needed answers to. 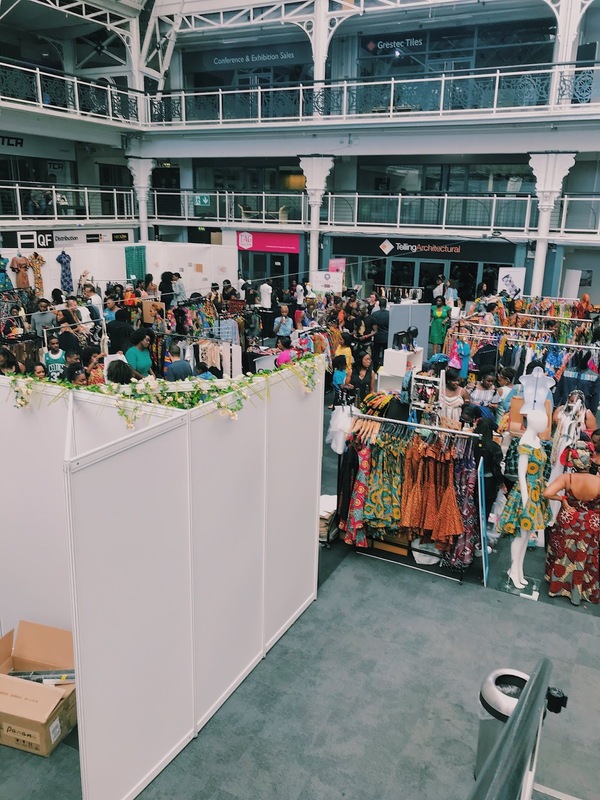 We heard from women representing a few different brands that were at the show like; Cantu, As I Am, Palmers, Black Beauty & Hair Magazine, Aunt Jackie’s and Twistsed Sista. Tricologist and representative for Aunt Jackie’s @CrystalKnowsBeauty was giving me life, she was so honest and knowledgable, it was just so good to hear from a professional. Shrinkage is a sign of good health, it shows that your hair is healthy, both Tri from Curlture & Crystal from Aunt Jackie’s both suggested different ways to encourage length. Tri suggested braiding or twisting your hair to stretch the hair and Crystal suggested using Aunt Jackie’s Curling Gels (Flaxseed & Coconut). If you have or want to colour your natural hair, you have to know what you’re doing or seek professional help to reduce the risk of serious damage. Hair dye weakens the hair, so in order to strengthen it, you need to incorporate more deep conditioners and protein treatments into your wash day routine. Tri from Curlture who was also representing Palmers recommended their Coconut Oil Protein Pack for your colour treated hair. I knew our hair continues to grow, and that it can slow down at times, but it was really fascinating to hear that our hair has a growth cycle. I didn’t quite hear the names of each cycle so I did a quick Google search to find out exactly what happens during this cycle. We have four stages during our hair growth cycle which is explained below; the growing phase, regression phase, shedding phase and resting phase. Knowing this information makes it easier to determine what we should be doing with our hair, and what products to use. Spend time with your hair when it is wet, that’s when you see it in it’s true form, see how well a product works with your hair when it’s wet to determine if the product is good for you or not. Feel free to cocktail your products, experiment with different combinations. You may think all of the hair on your head is the same but it is not, have a look at the front, middle and back of your hair and you will notice a difference not only in length, but in health and curl pattern. Cantu’s products have been created to encourage naturals to mix and match with different products. Curly hair prefers oil based products like creams and butters to seal in moisture, think of our hair as a sponge. Find out what oils work best for you, as you may not like heavy, oily hair products so find the right oil to seal in the moisture. For me my hair loves a balm or a butter, anything with loads of great oils in keeps my hair happy. Crystal mentioned that we should always use cool heat when doing any type of treatment. Deep treatments are super important for us naturals as our cuticles are naturally closed up, and deep treatments works well to relax the cuticles, allowing moisture to penetrate the strands better. Co washes were created for women who needed to wash more often than normal, without worrying about stripping their hair of it’s natural oils. As I Am was the first company to create a co-wash, and I have heard great things about their Coconut Co-Wash.
A lady in the audience wanted to know what she could do about her hair loss, Crystal instantly knew it was stress related from what was being said and suggested regular exercise, a healthy diet, lots of water, scalp stimulation (scalp massages) and all round self care. I have always wondered why coconut oil hasn’t agreed with my hair. Crystal informed us that Coconut oil is a carrier oil, it is a very light oil that is easy to absorb but without anything added to it doesn’t do much. She suggested adding other oils with it like olive oil in order to actually see the benefits of it. And finally the only way our hair is going to grow healthy is through a healthy, balanced diet. I already knew this but my diet is terrible so I needed to be reminded of this. The brand ambassador for Cantu and hairstylist recommended a good vegan, gluten-free multivitamin and lots of water for all round health, better skin and healthy hair. Dark fruits and vegetables contain plenty of vitamins that will benefit our hair. I hope you liked this post and found it helpful, I certainly learnt a lot about natural hair. Also if you find that you are struggling to find products that work, go back to basics and start whipping up some butters and creams in your kitchen. Have a blessed Thursday and enjoy the rest of your week!